Talbieh is considered one of the most beautiful as well as one of the wealthiest neighborhoods in Jerusalem (the wealthiest streets are Hovevei Tzion, Disraeli, and Dubnov). 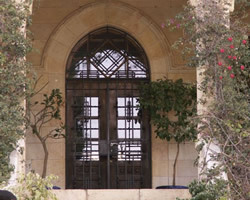 It houses the President's House, the National Academy of Science, the Van Leer Institute, the Jerusalem Theater, the well known Rose Garden as well as many celebrities. 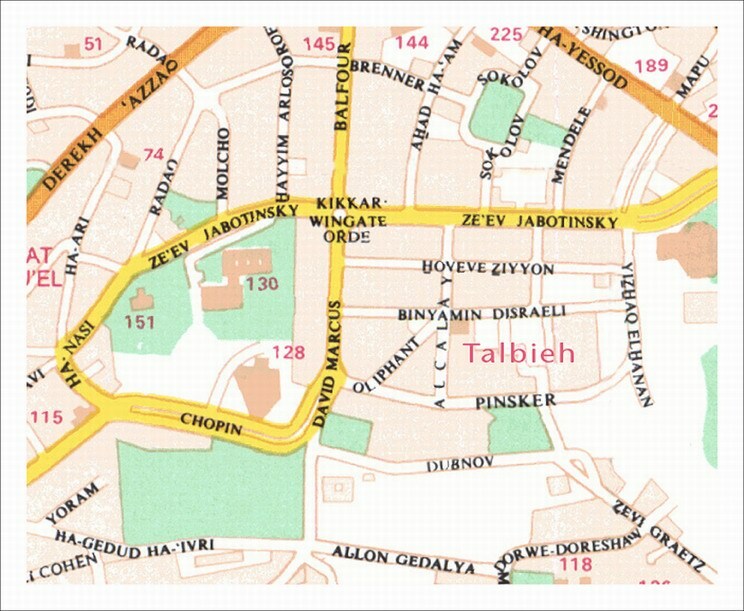 Many houses in Talbieh have been declared historical buildings. The serene neighborhood, abound with gardens, is comprised of a variety of Mandate-period-buildings as well as of authentic Arab houses that have been expanded. The neighborhood is located between the neighborhoods of Rechavia (north) and Old Katamon (south), near the Inbal, King David & David Citadel Hotels, and a short walking distance from the Old City and from the stylish and quaint German Colony. It is also the home of various preschools and synagogues of different denominations (the famous ones include one on Hovevei Tzion street and the Chopin synagogue).